Pinterest is a pot of gold for crafty mamas. Holiday crafts are an easy way to get yourself — and your home — ready for any upcoming holiday, and St. Patty's Day is no exception. 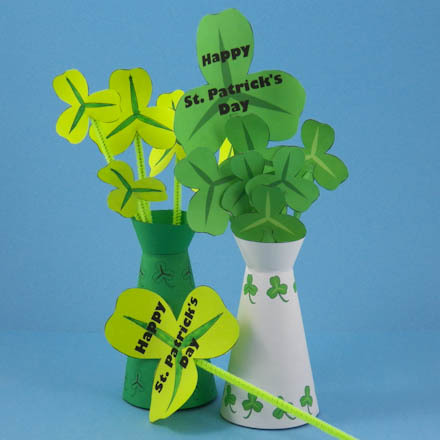 We've rounded up 10 St. Patrick's Day crafts you can do with your kids. 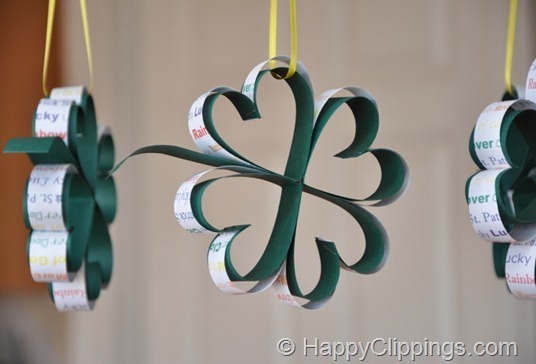 Hang the layered Hanging Paper Four Leaf Clovers from ceilings and door knobs to get your house ready for St. Patrick's Day. The Happy Clippings craft can be tailored to kids of any age, since it involves a handful of steps of varying difficulty. Whether you're having a St. Patrick's Day play date or simply want to add a festive air to dinner with your family, Aunt Annie's Crafts knows how to add fun to your table. The Shamrock Centerpieces will make any meal feel like a party. Colleen from Classy Mommy has five adorable St. Patrick's Day handprint crafts your kids can make with their own little hands. 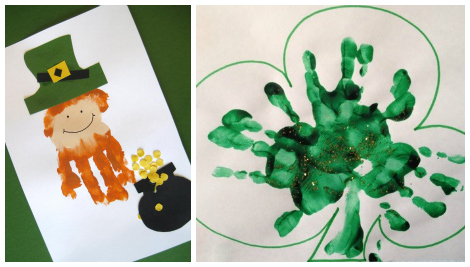 From a shamrock to a leprechaun with a pot of gold, these ideas will let your kids get their hands dirty while creating art you can hang around your own house or gift to doting grandparents. 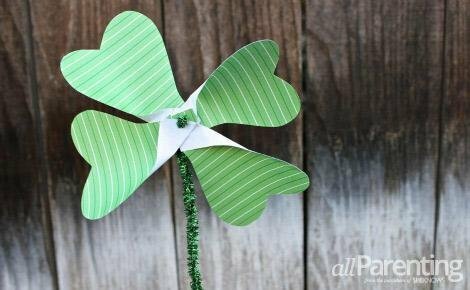 Jennifer Chidester offers instructions for these wonderful DIY Shamrock Pinwheels. Most moms have at least four of the five materials in their homes at all times, and your kids will love making them spin. Little hands will have fun crafting these Little Clover Clips from Small World Land. The mini clips can be used for place settings, tiny leprechaun notes or for hanging your child's latest artwork. Whether or not you add the glitter is up to you! Rena from Crafts Unleashed uses these Pipe Cleaner Shamrocks for holiday treat bags, but they're a fun, decorative touch that can be attached to anything from yarn-covered wreaths to picture frames. 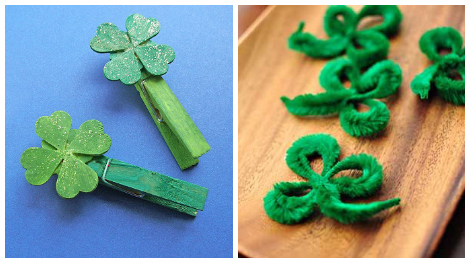 The shamrocks are a flexible, forgiving craft, so let kids twist away. 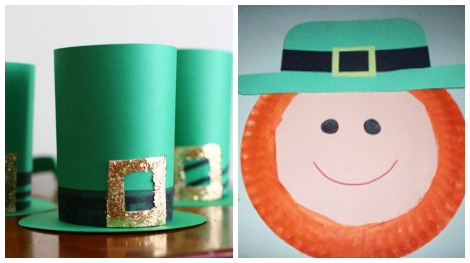 Leprechaun hats from Classic Play are simple enough for little hands and quick enough to whip up several at once. They can be used as party decor, and kids can use them later for doll hats — or make them large enough for little heads to wear themselves! Thrifty Fun's Paper Plate Leprechaun is especially fun because it uses materials you can likely find around your house. Easy access to materials means the leprechauns can be the perfect craft for a late afternoon activity, without much planning time needed. 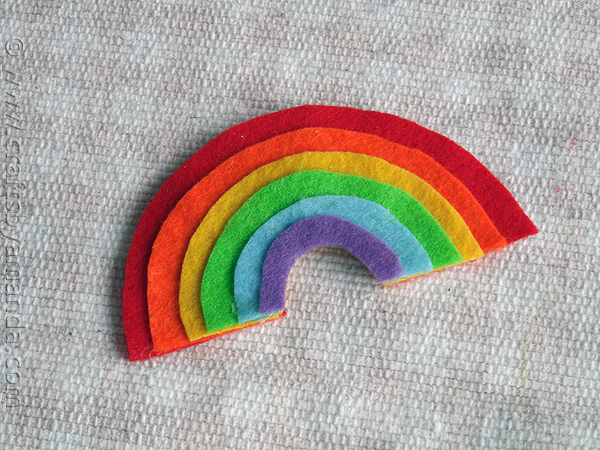 Make a Rainbow Magnet to celebrate St. Patrick's Day, and have an adorable reminder of the holiday all year long. From Crafts by Amanda, the magnet is made of soft felt, making it a great sensory craft for young children. 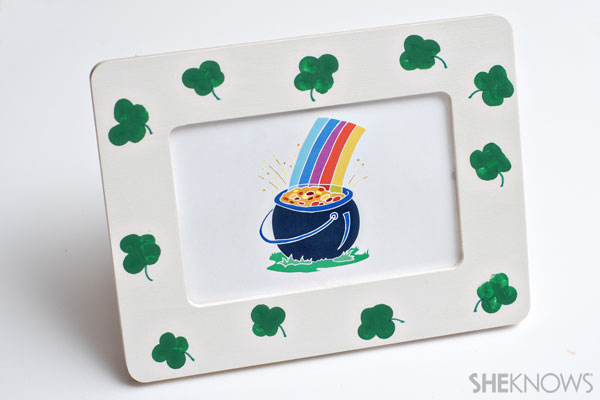 Snap a few photos and then display them in this sweet Shamrock Frame. Visit our friends at SheKnows for even more St. Patrick's Day fun.